Canuck Place Children’s Hospice offers an environment rooted in community and clinical expertise. Our interdisciplinary team works hand-in-hand, out of our two provincial locations in Abbotsford and Vancouver, to deliver the highest quality pediatric palliative care and raise funds to continually grow and refine our program. Join our innovative team who celebrate the power of connection, make time to invest in moments, and challenge ourselves to provide the best pediatric palliative care possible. Canuck Place offers competitive compensation and benefits with a focus on total wellness. From health and wellness programs to continuing education, Canuck Place believes the strength of our team grows from a foundation of self-care and work-life balance. See below for current employment opportunities. HERE’S WHY IT’S SO GREAT TO WORK WITH US. Aside from being surrounded by a friendly, inclusive, dedicated team, Canuck Place offers 0.6 FTE employees 12 days’ vacation (pro-rated to their full-time equivalency), an employer-paid benefits package, a Health Spending account that provides up to $300 annually to provide additional coverage for health and wellness activities/services, weekly onsite massage therapy, informative lunch n’ learns, as well as various learning opportunities. Canuck Place Children’s Hospice also has a ‘Care For the Caregiver’ committee who provides ongoing, creative activities to connect us with one another as a reminder that it’s ‘this’ moment that really counts. Reporting to the Coordinator of Counselling and Bereavement Services, the Social Worker is accountable for providing advanced therapeutic clinical counselling and consultative social work services that facilitate changes in coping styles, behaviours, attitudes, feelings and adaptive responses to an adverse life event. The Social Worker is also accountable for conducting comprehensive social and psychosocial assessments; providing advice to children, families, staff and community health professionals regarding applicable community resources in order to facilitate and enhance coping abilities; maintaining records and monitoring counselling services to ensure appropriate services are provided. Master’s Degree in Social Work or a directly related field, supplemented with at least 1-2 years of recent related counselling and assessment experience in palliative care, including grief and bereavement, or an equivalent combination of education, training and experience. Current registration with the British Columbia Association of Social Workers or the British Columbia Association of Clinical Counsellors. Interviews children and families and prepares comprehensive psychosocial assessments to identify high risk factors, personal and emotional concerns, areas of coping strengths and areas requiring social work and/or counselling services. Provides individual and/or group counselling services, such as adjustment, crises, support and bereavement to children and their families to facilitate changes in coping styles, behaviours, attitudes, feelings and adaptive responses to an adverse life event. Develops and facilitates support groups, as necessary. Assesses and interprets social, financial, psychological and family situations to physicians and other members of the care team and provides consultation to staff and community agencies with regard to intervention and discharge plans for children and their families. Educates children and their families on issues related to understanding and following medical recommendations to assist in alleviating stress and anxiety resulting from illness and disability. Collaborates with physicians and other members of the interdisciplinary care team by participating in interdisciplinary planning and evaluation of care, care conferences and rounds; reports observations, problems and changes in children’s and families’ condition, provides input from a social work perspective on a variety of care issues to ensure proper and effective treatment of the child and family members. Provides advice to children, families, staff and community health professionals regarding applicable community resources and ways to access these resources in order to facilitate and enhance coping abilities. Liaises with social agencies and community resources and makes referrals to provide ongoing support to children and families. Identifies staff educational needs related to social work and/or counselling; develops, coordinates and delivers in-services, presentations and/or training in collaboration with other members of the interdisciplinary team by determining relevant content and required audiovisual/handout aides, conducting literature searches and planning and coordinating seminars. Monitors the quality of counselling services by developing, evaluating and revising quality indicators; analyzes outcomes and identifies opportunities to change and areas for improved efficiency and effectiveness in service delivery to enhance services within the hospice and reduce gaps in services in the community. Maintains client records by documenting client assessments, charting client information, preparing progress notes and reports in accordance with established standards, policies and procedures. Keeps up-to-date on social work developments by reviewing literature in specialty area, consulting with clinical and community experts within the field and participating in professional development activities. Knowledge of family, group and change therapy. Knowledge of counselling skills and clinical practice models. Knowledge of clinical social work and mental health counselling principles, methods, procedures and standards. Knowledge of psychodynamics of children and adolescents and their treatment strategies. Demonstrated social and psychosocial assessment, interviewing and psychological/developmental evaluation skills. Demonstrated ability to understand and influence group and inter-group processes. Demonstrated ability to establish rapport with children and families in order to explore issues that are beyond the initially presented concerns. Demonstrated ability to plan, prioritize and organize workload. Ability to maintain confidentiality in a work setting. Ability to listen and to empathize with an extremely diverse group of people. Flexibility is necessary, this position requires occasional weekend and evening work and travel within and outside the Lower Mainland. There is an expectation to be “on call” once every 5 weekends , and primarily at the hospice location in Vancouver. You may be required to work at occasionally at the hospice in Vancouver and/or make home visits in the community. 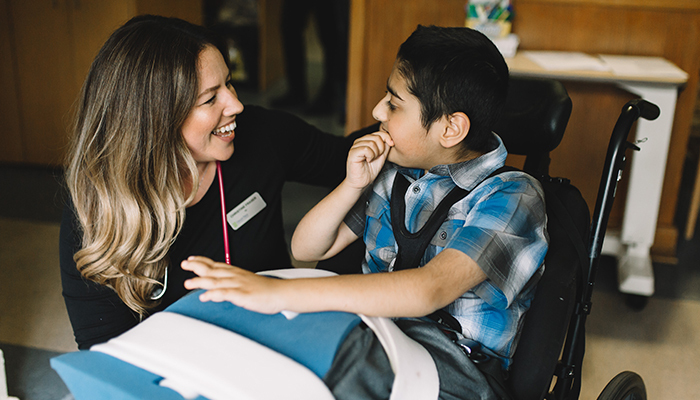 Canuck Place Children’s Hospice hires on the basis of merit and is strongly committed to equality and diversity within its community and to a welcoming and inclusive workplace. We especially welcome applications from Indigenous persons, visible minority group members, persons with disabilities, people of all sexual orientations and genders, and others with the skills and knowledge to productively engage with diverse communities. Please submit your cover letter and your resume to [email protected] by April 29, 2019. Please indicate where you discovered this job posting and specify which role you are applying for in the subject line of your email. We recognize the importance of a diversified workforce, and we encourage First Nations, Inuit and Metis candidates, members of visible minorities and persons with disabilities to apply. Under the direction of a Registered Nurse or Licensed Practical Nurse, the Personal Care Aide ensures safe, quality care while performing care duties relating to feeding, personal hygiene, music and recreational therapy activities, accompanying children and families on outings, and some clinical duties. Candidates must be available to work days, evenings, nights, and weekends, and should be available on short notice. A High school diploma, supplemented with graduation from a recognized Health Care Assistant program, or an equivalent combination of education, training and experience. Registered with the BC Care Aid Community Health Worker Registry. 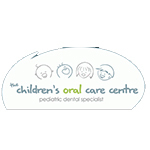 Provides personal care to children with bathing, dressing, oral hygiene, skin and hair care; assisting with toilet needs; and lifting and transferring children. Assists with meals by serving and feeding designated children. Assists with a child’s exercise routines. Safely utilizes mechanical aids, such as wheelchairs, lifts, and stretchers. Performs tasks, as delegated by the nurse, such as obtaining urine specimens, administering non-sterile dressings, checking skin for ulcers and for skin integrity, following standard procedures and protocols. Monitors children and reports observations, problems, and any behavioural, physical and cognitive changes to the Registered Nurse or Licensed Practical Nurse. Accompanies children and families on outings and during social activities, as required. Assists with recreation and music therapy activities. Performs some clerical duties, such as typing, answering the telephone, and counting petty cash. Charts pertinent information in the child’s chart. Follows policies, procedures and standards of excellence to ensure a safe environment for children and families, other staff, and volunteers. Good English communication skills, both verbally and in writing. Ability to observe and recognize changes in children. Ability to establish and maintain rapport with children and families. Good computer skills, including MS Office (Outlook, Word, Excel). Clear and valid Class 5 BC driver’s licence is required. Please submit your cover letter and your resume to [email protected]. This position will remain open until filled. Please indicate where you discovered this job posting and specify which role you are applying for in the subject line of your email. We recognize the importance of a diversified workforce, and we encourage First Nations, Inuit and Metis candidates, members of visible minorities and persons with disabilities to apply. Using a framework for nursing practice, assess children and families needs; collects and compiles data; identifies problems, develops, communicates, implements and evaluates care plans consistent with the interdisciplinary plan in a consistent manner. Please submit your cover letter and your resume to [email protected]. This posting will remain open until filled. Please indicate where you discovered this job posting and specify which role you are applying for in the subject line of your email. We recognize the importance of a diversified workforce, and we encourage women, First Nations, Inuit and Metis candidates, members of visible minorities and persons with disabilities to apply. HERE’S WHY IT’S SO GREAT TO WORK WITH US. Aside from being surrounded by a friendly, inclusive, dedicated team, Canuck Place offers employees up to 20 days’ vacation (pro-rated to their full-time equivalency), an employer-paid benefits package, a Health Spending account that provides up to $500 annually to provide additional coverage for health and wellness activities/services, weekly onsite massage therapy, informative lunch n’ learns, as well as various learning opportunities. Canuck Place Children’s Hospice also has a ‘Care For the Caregiver’ committee who provides ongoing, creative activities to connect us with one another as a reminder that it’s ‘this’ moment that really counts. As part of the Food Services team, the Cooks plan, prepare and cook a variety of food items (according to Foodsafe standards); assign tasks and provide direction to kitchen volunteers; assist in planning recreational activities (baking, etc.) to include children and their families; and maintain a clean, stocked kitchen and supply area. The Cooks work closely with other staff, as well as families and volunteers. Completion of Grade 12 or equivalent, plus qualification as a cook from a recognized cooking school, supplemented by a minimum of one year related experience in food preparation and cooking. Consideration will be given to an equivalent combination of education, training and experience. Related experience in a health care facility is preferred. Follows daily menu plans and adapts, as necessary, to accommodate changes in numbers of persons requiring meals. Plans cooking schedule to minimize time between completion and serving. Defrosts and prepares food in advance; cooks and prepares food items (e.g. soups, sauces, salads, fish, poultry, meats, desserts, cookies); prepares food items for freezing. Ensures food is prepared according to preparation guidelines and Foodsafe standards. Checks supplies on hand and restocks the kitchen with necessary day-to-day supplies. Assigns tasks and provides direction to kitchen volunteers to ensure work is performed in accordance with standards. Assists staff, volunteers and parents with planning of recreational activities (baking, etc.) to include children and their families. Supervises and engages the kitchen volunteers and provides direction during volunteer shifts. Maintains established rotation of food in storage and use of leftovers to minimize spoil and waste. Contributes to menu planning, food presentation and recipe planning, in consultation with the Food Services Coordinator. Follows cleaning schedule, as required (e.g. cleans counters, sinks, stove, floors, machines, equipment and storage areas; spot washes walls and splash area; removes garbage). Liaises with families, volunteers and staff to discuss special dietary requirements and allergy alerts. Ensures safety practices and procedures are adhered to. Attends Interdisciplinary Rounds as requested. Knowledge of commonly used kitchen equipment, its use and maintenance. Knowledge of cooking procedures and food safe techniques. Demonstrated ability to interact with individual at all levels. Ability to work with children and families in sensitive situations. Ability to work both independently and collaboratively as a member of a team. Demonstrated ability to plan and prepare a variety of nutritious food items that appeal to all ages. Foodsafe Level 1 certificate is required. Please submit your cover letter and your resume to [email protected]. This posting will remain opened until filled. Please indicate where you discovered this job posting and specify which role you are applying for in the subject line of your email. We recognize the importance of a diversified workforce, and we encourage First Nations, Inuit and Metis candidates, members of visible minorities and persons with disabilities to apply. The Manager, Counselling and Bereavement Services is responsible for making recommendations for the development of counseling and bereavement services and implementing and coordinating clinical care that is consistent with the Hospice’s strategic plan, to ensure best practice and the delivery of quality care. In addition the Manager, Counselling and Bereavement Services is responsible for mentoring and managing the counseling clinicians; promoting practice development and providing team support and guidance. The Manager, Counselling and Bereavement Services is accountable for planning, developing, coordinating, implementing, leading and evaluating counseling and bereavement services to meet the norms of practice for pediatric palliative care and to reflect Canuck Place philosophy and objectives. A minimum of five years related experience as a counsellor/social worker in progressive role. Experience in palliative care and/or pediatric care is an asset. Demonstrated interest in taking courses, attending conferences, etc. to stay current in best practices. Strong understanding of, supervising and leading teams in a collaborative and cohesive manner. Some supervisory or leadership experience may be an asset. Oversees and provides leadership and direction around practice and quality of counselling and bereavement services provided by the Counselling team members inclusive of the: Counsellors, Expressive Therapists, Social Workers, and Spiritual Care Leader. Works in collaboration with other disciplines and services including clinical nursing and medical team, recreation therapy, school services, etc. to ensure programs and activities are aligned and meet CPCH mission, vision, values and strategic goals and objectives congruent with the psychosocial approaches to care. Ensures standards of counselling services are in accordance with established standards of practice by reviewing best practices and identifying and implementing changes consistent with current research or literature. Integrating evidence based knowledge and research into the development of counseling and bereavement service provision. Collaborates with counselling team members to interpret, implement and evaluate processes and procedures within the team and with other services and makes recommended changes to the Director, Program Development and Administration. Participates in program wide planning and development for children and families to provide input to ensure a holistic approach to care and integrate the fundamental frameworks of counseling, bereavement care and child and family centered care. Receives and responds to bereavement referrals from staff and the greater community and makes referrals and develops relationships with community agencies. Undertakes regular evaluation and monitoring of all aspects of the delivery of counselling and bereavement services; and recommends changes to services and programs to the Director, Program Development and Administration. Provides leadership in direct counselling services, including comprehensive psycho-social assessments, individual and group counseling services, referral and coordination to community and hospital services and advocacy for children and families. Works together with the Director, Program Development and Administration and relevant external stakeholders (as appropriate) to review and revise operational policies for the Counselling team and organization. Ensures appropriate levels of counselling/therapeutic staffing according to the organization’s strategic business plan, participates in the recruitment of new counseling team members, interview and hiring process and organizes the orientation/on-boarding, mentoring and practice development of new hires. 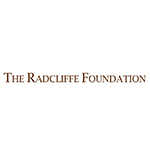 Supports and facilitates education development of clinical expertise of staff and volunteers seeks innovative approaches for professional growth and skill development of the counselling team members. Ensures and supports equity and fairness among the Counselling team members with respect to workload, responsibilities, adherence to roles and responsibilities, shifts/on-call requirements, project and team work, committee and event participation, etc. Conducts annual performance reviews with Counselling team members. Consults with the Director, Program Development and Administration and the Director, Human Resources on performance management, coaching and guiding staff as required. Approves shifts and leave requests (e.g. vacation, etc.) of Counsellors and Therapeutic Services staff and ensures adequate day-to-day staffing levels within the teams. Provides input to the Director, Program Development and Administration regarding the Counselling Services budget and manages the day to day utilization of the counseling budget. Assesses risks and health and safety issues for the Counselling team members and advises the Director, Program Development and Administration on such matters, making recommendations for employee safety, wellness and job satisfaction. Prepares and submits quarterly/annual written report(s) on activities and progress of the Counselling team to the Director of Program Development and Administration. Understanding of financial budgets, managerial approaches and evaluation processes. Demonstrated clinical competence and knowledge in pediatric palliative care, child and family centered care and ability to undertake thorough assessment of clients (children / family members, etc.). A participative, collaborative leader and manager with ability to supervise and provide constructive feedback. Ability to educate, instruct/train/orientate staff and volunteers with knowledge translation and skill development in the areas of pediatric palliative care, counseling and bereavement care. Ability to develop, implement and facilitate group support programs for children, adults and / or families. Effective English verbal and written interpersonal and communication skills. Demonstrated successful negotiation and conflict resolution skills and the ability to build consensus and foster team building. Well-developed interpersonal skills and demonstrated ability to interact with individuals and groups at all levels or the organization. Proven ability to multi-task, plan and establish priorities and organize to meet objectives. Ability and skill to schedule and coordinate staff and volunteers to ensure effective and responsive service provision and care. Strategic thinker with strong decision making, creativity and problem solving skills. Ability to manage, implement and lead teams through change. Ability to provide progressive and innovative approaches to care. Knowledge and skill to operate a personal computer which includes MS Office and Windows programs such as MS Word, Excel, MS Outlook etc. HERE’S WHY IT’S SO GREAT TO WORK WITH US. Aside from being surrounded by a friendly, inclusive, dedicated team, Canuck Place offers weekly onsite massage therapy, informative lunch n’ learns, as well as various learning opportunities. Canuck Place Children’s Hospice also has a ‘Care For the Caregiver’ committee who provides ongoing, creative activities to connect us with one another as a reminder that it’s ‘this’ moment that really counts. The Housekeeping Aide is responsible for maintaining the standards of infection control for Canuck Place Children’s Hospice (CPCH). Duties include a variety of housekeeping tasks, such as discharging patient rooms and family suites, mopping floors, vacuuming/cleaning carpets, and laundry. Completion of Grade 12 or equivalent, supplemented with a minimum of two years related housekeeping experience; or an equivalent combination of education, training and experience. Related experience in a health care facility is preferred. Works closely with the Food Services and Housekeeping Manager and other Housekeeping Aides to assess and carry out the housekeeping needs of CPCH. Adheres to infection control standards and practices laid out in the CPCH Housekeeping manual. Discharges patient rooms and family suites. Disinfects patient rooms, bathrooms and common areas on a daily basis. Disinfects toys and other common-use objects. Mops floors, vacuums, spot cleans carpets, disinfects office surfaces, and empties waste and recycling receptacles on a daily basis. Washes/dries laundry, keeps linen cupboard in order and maintains cleanliness of laundry room. Works with Housekeeping Volunteers to ensure housekeeping tasks are completed and signed off on the appropriate checklists. Responds to housekeeping requests and unforeseen situations, as required. Knowledge of, and the ability to use, cleaning equipment and solutions. In depth understanding of cleaning procedures and infection control procedures. Demonstrated ability to plan, organize, and prioritize workload. Demonstrated ability to respond to children and families in sensitive situations. Ability to work individually, as well as a collaborative member of a team. Physical ability to carry out duties of the position. Good computer skills in MS Office (Outlook, Word, Excel) is an asset. Please submit your cover letter and your resume to [email protected]. This posting will remain open until filled. Please indicate where you discovered this job posting and specify which role you are applying for in the subject line of your email. We recognize the importance of a diversified workforce, and we encourage First Nations, Inuit and Metis candidates, members of visible minorities and persons with disabilities to apply. Under the direction of the Medical Director and the Director, Program Development & Administration, the Health Care Researcher and Program Analyst assists with meeting the strategic priorities of providing quality palliative care, research and knowledge dissemination/education and extension of services, by analyzing data and identifying major issues and trends from data analysis. As well, this position manages research projects including: tracking progress and ensuring timelines are met; ensuring compliance with research methods and ethics; and preparing summaries, reports, and recommendations. The Analyst will support a culture of research and research activities, and provide direct assistance to researchers. Assists with meeting the strategic priorities of providing quality palliative care, research and knowledge dissemination/education and extension of services by gathering and analyzing data, identifying major issues and trends from the data analysis; manages projects jointly identified by the Medical and Program Directors, and identifies project tasks and timelines. Tracks progress and/or completion of critical activities, addresses issues and concerns, and manages deliverables to ensure established timeframes are met. Ensures linkage and consistency between the operating and strategic planning processes by periodically conducting program evaluations and engaging in feedback mechanisms from stakeholders. Assists with program knowledge development and evaluation by assisting with clinical reviews. Coordinates and attends clinical reviews, provides relevant research applicable to the review, gathers and analyzes information, identifies themes, and works with clinical leaders to identify practice or system changes and educational needs. Responds to clinical program database queries. May assist with developing database reports and responding to requests for information regarding clinical activities. Prepares documents including graphs to trend data based on the database reports. Attends meetings to define strategies, goals and scope of research projects and manages projects by developing communication plans, establishing project work plans, timelines, and staffing resource estimates; reporting on specific projects in research, evaluation and knowledge translation, monitors project progress and provides regular statistics and reports. Develops research design and methodology for assigned projects by researching the assigned topic, determining appropriate and available resources, participating in determining the nature and type of data required; developing monitoring and modifying systems/tools for collection, verification and reporting of data. Provides input into and may undertake recruiting study participants and conducts studies such as surveys; extracts and analyzes data results and conducts preliminary analyses. Assists in preparing ethics review documents, and tracks submissions and renewals. May also assist researchers and research assistants who are undertaking these activities. Identifies new research synergies and potential funding and research partnership opportunities and prepares grant applications. Liaises with researchers from academic institutions who wish to undertake research studies at CPCH. Acts as the main point of contact and confirms their compliance with all relevant policies and procedures. Assists with writing, editing and proofing documents, such as academic proposals, journal publications and other scientific communications; coordinates the acquisition of information from multiple sources and individuals that support these documents; for example, reference citations. Chairs the Research Committee by preparing draft agendas, taking and distributing minutes, bringing forward items, researching and compiling information as requested. Tracks and prepares the annual research and knowledge dissemination report for Quality Council. May assist with developing reports, and responding to requests for information regarding research and educational activities. Facilitates knowledge dissemination of research projects by organizing education sessions and coordinating with the Education Committee and/or Nurse Educator. Master’s degree in Health, Education, or a related field, supplemented with a minimum of five years recent related experience in research and analysis; or an equivalent combination of education, experience and training. Note: Flexibility is necessary as this position may require occasional weekend and evening work and travel within the Lower Mainland. Please submit your cover letter and your resume to [email protected] This position will remain open until filled. Please indicate where you discovered this job posting and specify which role you are applying for in the subject line of your email. We recognize the importance of a diversified workforce, and we encourage First Nations, Inuit and Metis candidates, members of visible minorities and persons with disabilities to apply. Reporting to the Manager, Events & Communications, and as an active member of our Events & Communications team, the focus of this role is to support the development and execution of Canuck Place Children’s Hospice (CPCH) signature events including the Gift of Time Gala and the Gift of Love Gala as well as stewardship and other fundraising events as required. Proficiency in Raiser’s Edge, Auction Tracker, and/or Convio TeamRaiser considered an asset. Contribute to CPCH’s success by assisting with other projects and tasks as assigned. Reporting to the Manager, Annual Giving & Donor Services, the Donor Services Assistant provides support to the Development team, with primary responsibilities in data entry, donation processing, tax receipting and donor acknowledgements. The Donor Services Assistant receives training, guidance and daily work planning from the Donor Services Coordinator as required. High school diploma, supplemented with relevant post-secondary administrative and computer courses. A minimum of 1 year related experience working with fundraising database software, preferably Raiser’s Edge. An equivalent combination of education, training and experience will also be considered. Experience in a non-profit environment is preferable. Inputs donor information and donations into Raiser’s Edge database following data integrity guidelines. Generates donation acknowledgements, tribute cards, pledge letters and charitable tax receipts. Issues and re-issues tax receipts and donation acknowledgments, as required. Maintains accurate database records, including inputting and updating information and merging duplicates. Handles online credit card payment processing and refunds. Handles online orders, payment processing, refunds, shipping, holiday cards, etc. Follows up on donor inquiries related to donation processing or online orders. Orders and maintains supplies related to donation processing. Attends and provides support at hosted and partner events, as required. Provides back-up for the Donor Services Coordinator role as required, including month-end bank reconciliation, financial reports, monthly donor credit card processing, etc. Strong data entry skills utilizing fundraising database software, preferably Raiser’s Edge. Demonstrated accuracy and keen attention to detail. Proficiency with Microsoft Office programs and experience with web based applications and payment services. Thorough knowledge of office practices and procedures. Demonstrated ability to work independently, as well as a collaborative member of a team. Demonstrated ability to take and follow instructions and ask questions when necessary. Excellent English written and verbal communication skills and the ability to interact with individuals at all levels and provide a high level of customer service. Strong time management skills, ability to prioritize workload and demonstrate flexibility around changing priorities. Ability to work with a high degree of discretion and confidentiality with regard to donor and other fundraising information. Please submit your cover letter and your resume to [email protected] by May 6, 2019. Please indicate where you discovered this job posting and specify which role you are applying for in the subject line of your email. We recognize the importance of a diversified workforce, and we encourage First Nations, Inuit and Metis candidates, members of visible minorities and persons with disabilities to apply. Please check back frequently for new postings. If you do not see a position that matches your skill set, feel free to email your resume and cover letter in MS Word or Adobe PDF format to [email protected]. Please note the position you are seeking in the subject line of the email. We thank all applicants for their interest; however, only those candidates who have been short-listed for a position will be contacted. Resumes are kept on file for six months.